We have received the most thoughtful ( incredibly handsome, cute , gorgeous) Wee dog to use at our next fundraising, watch this space!! 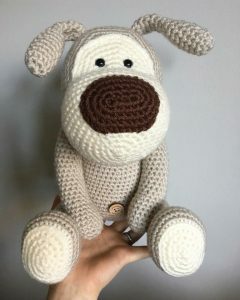 He has been donated and made by incredibly talented hands at loupdalou, please check their Facebook page to see more. This handsome chap is all wrapped up and ready to head off to a lovely customer for a lovely cause. Boofle will be part of our next fundraising stall.